The high performance compounds of zinc in aerosol and its liquid form (Prime Zinc and Super Zinc) protect steel from corrosion through galvanic action. 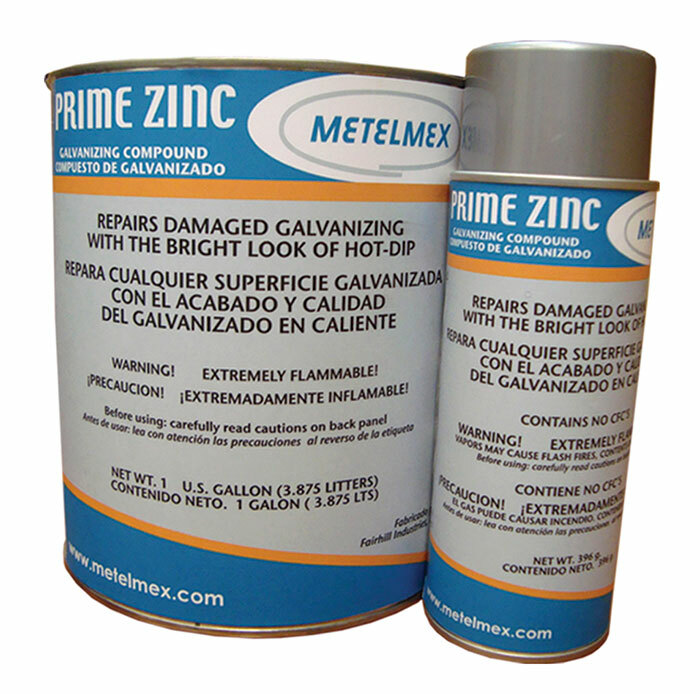 The first generation barrier of zinc dries rapidly, protecting the metal against corrosion. Oxygen in the air reacts with the resin, forming a tough long lasting coating. The second generation of zinc is formed in the outer layers of the surface as a reaction of its contact with moisture and air. This forms zinc oxide, which acts as an insoluble coating that protects the metal on the long term. When zinc and steel are in direct contact and are separated by a scratch while at the same time being in contact with humidity, zinc turns into anode and steel into cathode, forcing the zinc to sacrifice for the steel, making more zinc oxide layers.